Renz Construction often works with clients looking to expand the livable space in their home without putting in an addition. 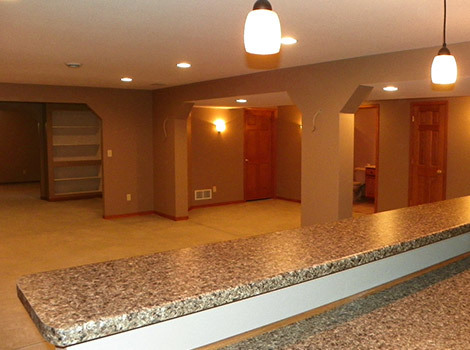 A basement remodel or lower level renovation is the most logical way to increase the value of your home and the usable square footage. 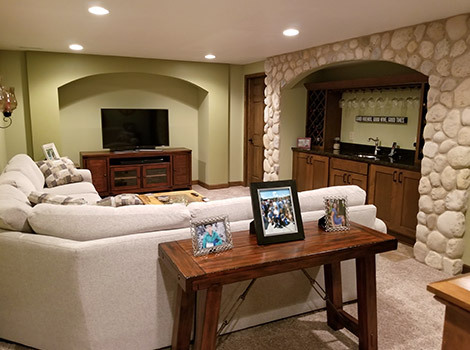 Basements and lower levels are incredibly versatile and offer additional space for bedrooms, bathrooms, game rooms, living rooms, bars and more. Our clients have done everything from adding guest suites to full bars and everything in between. 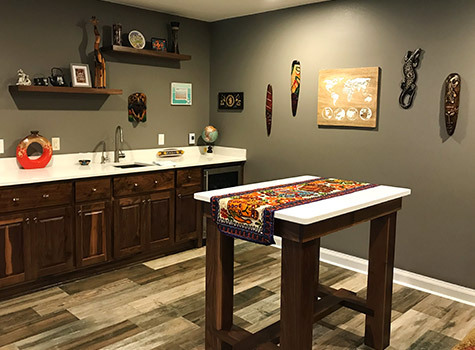 Take a look at a few of our projects to see just how accessible and livable your basement or lower level can be!